Let’s talk roasts! There’s a lot to love, isn’t there? They’re easy to make once you’ve got the knack, there’s tons of variety in how you prepare them, and best of all, they’re absolutely delicious. But on the downside, roasts can be a faff to make, they can take a lot of time to cook, they can leave loads of washing up, and they can be unhealthy. That’s why I’m excited to tell you about 100% recyclable Bakewell Oven Bags, which allow you to whip up a roast with all of the positives, while they pretty much eliminate all the mess, reduce the fat, and reduce cooking time by up to 10%! Sound to good to be true? I’ve been testing them thoroughly and I promise, they work superbly well. All you do is place your meat and veg in the large bag, snip a corner, then roast it as you normally would, it’s that simple. You end up with exceptionally juicy and succulent meat and just as you’d hope, the meat comes out wonderfully browned, with veg that’s perfectly cooked. 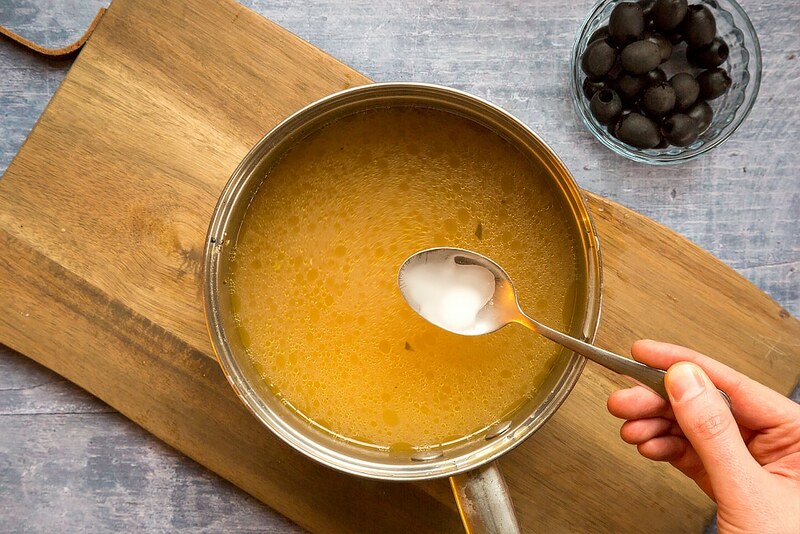 Because the natural juices are helping to cook the meat in the bag, it cooks faster and you need just a touch of oil – this recipe only uses 2 tbsp of olive oil so it’s a healthier option too. And just how much mess does it eliminate? Well this is my roasting tray after cooking. Amazing, right? I really am very impressed with the Bakewell bags, which come in all sorts of sizes to suit different sized birds, joints of meat, portions of meat, fish, paella, ribs, vegetables and more. It makes cooking just that little bit easier and faster and takes nothing away. 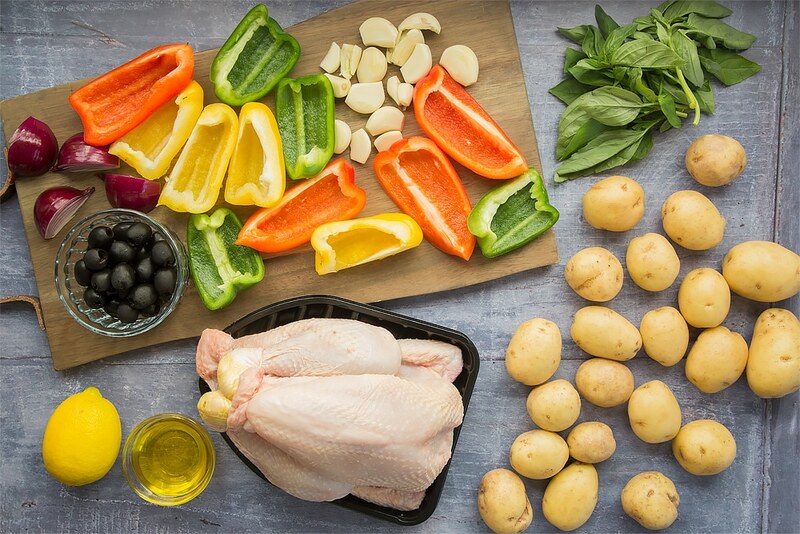 Watch just how easy it is as I make a gorgeous, lemony, juicy, delicious healthier roast chicken with Mediterranean veg! 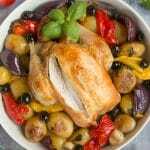 Now read on for the full healthier roast chicken with Mediterranean veg recipe. Pre-heat the oven to 190C/375F (170C fan). Place all of the vegetables, olive oil and herbs inside the Bakewell Oven Bag. Give them a good shake to ensure they’re evenly coated. 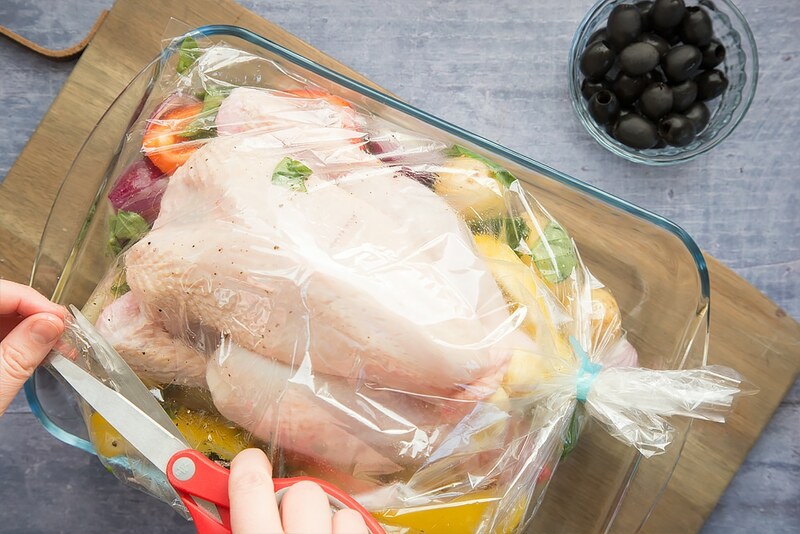 Place the chicken inside the bag on top of the vegetables and position on your roasting tray. Seal the bag with the provided tie and cut a small piece off one corner of the bag – this will allow steam to escape and ensure a tasty skin. Roast for approximately 80 minutes until well cooked. If you put a skewer into the thickest part of the meat, the juices should run clear (no pink tinge). If you have a meat thermometer it should read at least 165F (75C) at the thickest part of the meat. Allow the chicken to sit for 10 minutes, then cut open the bag. 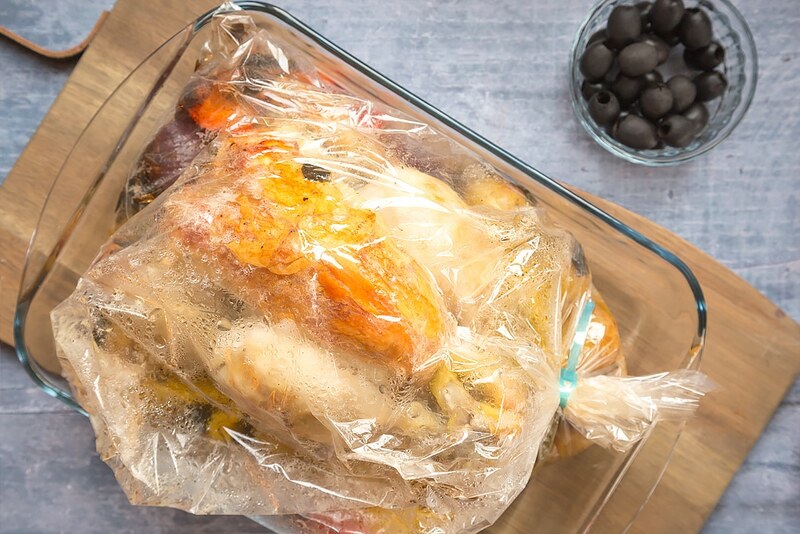 You can then lift the chicken out of the bag, taking care to drain the juices back into the bag. Lift the bag and tip the veg into a colander over a pan to catch the juices. You can then dish up the vegetables. Look how clean the dish is! You can now use all of the lovely chicken and veg juices to make an amazing gravy for your healthier roast chicken. Place the pan over a medium heat. Add a little boiling water if you want to stretch the quantity a little further. Mix 1 tbsp of cornflour with a little cold water and add to the pan. Stir over the heat until thickened, season to taste, then transfer to a gravy boat and serve. Are you tempted to try Bakewell Oven Bags? Let me know if you do! You can read more on the Bakewell website. Or purchase via Amazon. If you’d like to print this healthier roast chicken recipe to try later, just click the PRINT button on the recipe card below. 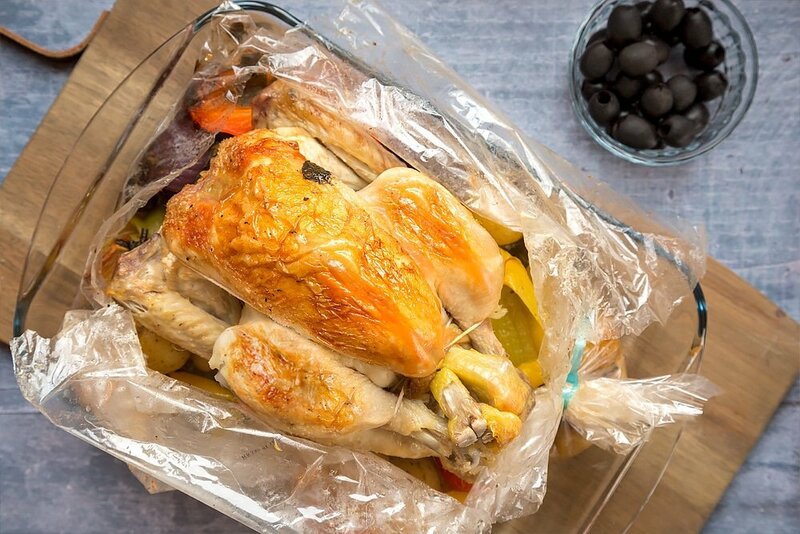 A delicious roasted chicken, made extra juicy and delicious as it's cooked in-the-bag. Pre-heat the oven to 180C/375F (160C fan). Place all of the vegetables, olive oil and herbs inside the Bakewell Oven Bag. Give them a good shake to ensure they're evenly coated. Seal the bag with the provided tie and cut a small piece off one corner of the bag - this will allow steam to escape and ensure a tasty skin. You can now use all of the lovely chicken and veg juices to make an amazing gravy. Place the pan over a medium heat. Add a little boiling water if you want to stretch the quantity a little further. 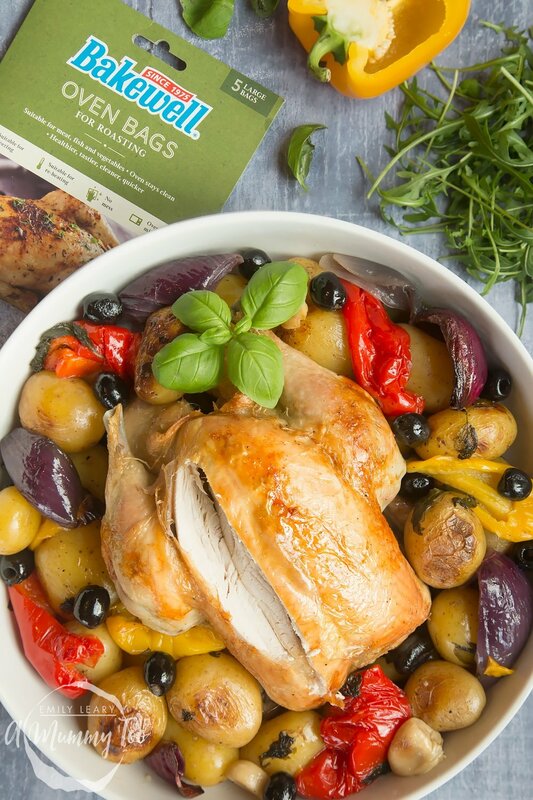 Are you looking forward to a fuss-free roast dinner using Bakewell oven bags? If you enjoyed this roast chicken recipe, you might be interested in my hacks to speed up your Sunday roast. This is a commissioned post for Bakewell Oven Bags. Did you give them a go? I’m sure you won’t be disappointed – these oven bags are great! Yes! 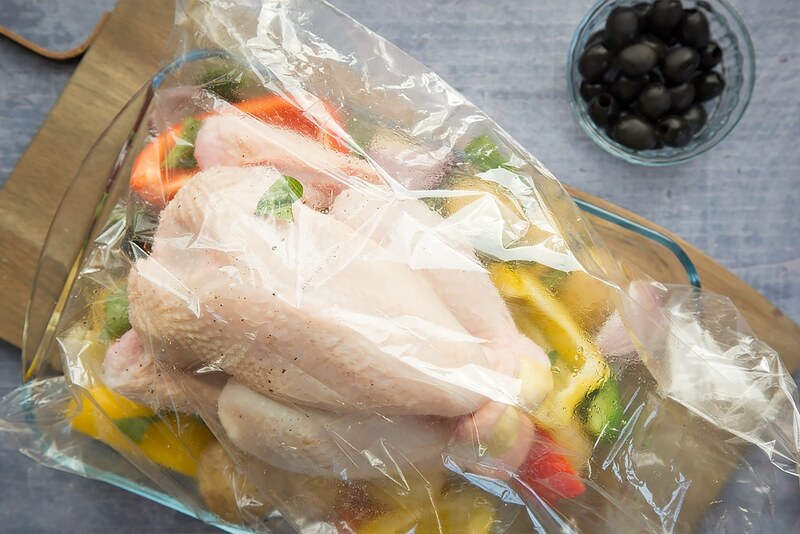 These oven bags are great, the chicken stays so moist and the vegetables and gravy are delicious too and there’s no roasting tray to scrub and no greasy oven! I agree :) I love using these Bakewell oven bags and this meal is a family favourite in our house! Absolutely! I love how the chicken stays so moist and the vegetables cook to perfection! Thanks! Let me know how it goes! 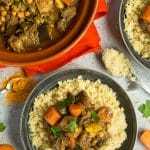 I’m sure that you’ll love this recipe! It looks like something I’d like to try. Love oven bags, they mean less washing up!! Also they make the food taste amazing! I couldn’t agree more! I love them too! The oven bags would be great for Sunday Roast. Yes, these Bakewell bags are perfect for a delicious Sunday roast – and a clean oven and less washing up too! I absolutely love the idea of these oven bags. Not only because it, of course, saves on washing up, but also because I can imagine how moist and succulent the chicken would be cooking in this way. The recipe you used both looks and sounds so scrumptious, so I will definitely be making! Thank you! You’re so right – the chicken stays so moist and flavoursome and the vegetables and gravy are delicious too! Let me know how it goes! Absolutely! I love them too and this meal is now a family favourite in our house! 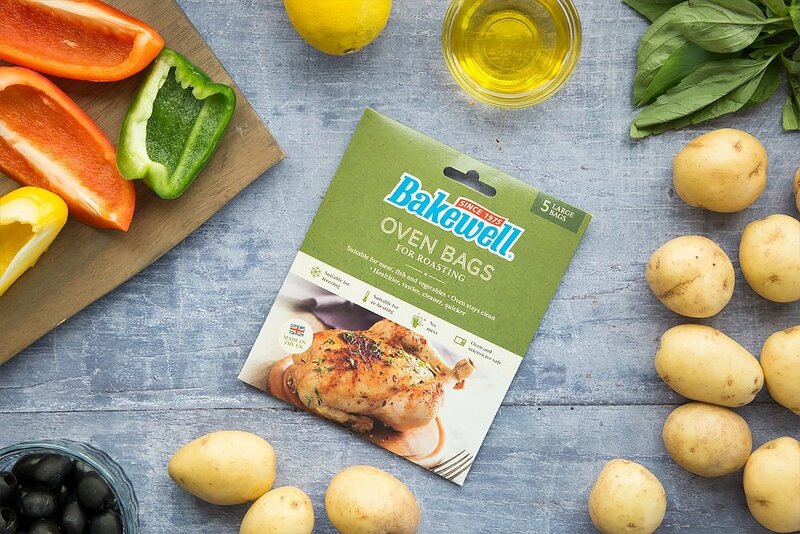 These Bakewell bags are so useful and the chicken and vegetables cook perfectly! Have you tried them yet? Yes, the chicken stays so moist and tasty and the vegetables and gravy are really delicious too and there’s the added bonus of no roasting tray to scrub and a clean oven! Have you given it a go yet! As you so rightly say, the flavours stay in and everything cooks to perfection! 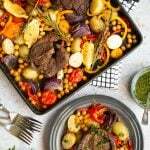 It’s a great way to roast meat and vegetables together – you get a delicious meal, a clean oven and much less washing up! The bags look great,chicken looks like its cooked to pefection. And no roasting tray to scrub! These Bakewell bags are amazing! The chicken and vegetables cook so beautifully and the gravy is yummy! Yes! 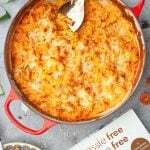 I love cooking with Bakewell bags – a delicious meal with less wqshing up and a clean oven too! These are a great idea. A delicious healthy meal without lots of messy trays to clean up afterwards! Absolutely! Have you tried it yet? Let me know! I’d never thought about putting the vegetables in with the chicken! Great one pot meal without the clean-up, looks delicious too. This is such a tasty way to enjoy roast chicken, tasty vegetables and delicious gravy. Less washing up and a clean oven – what’s not to love? Thanks! The chicken stays so moist and the vegetables cook beautifully! This is inspired! Looks absolutely delicious! Thank you :) I’m sorry for the delayed reply! This is such a tasty dish and it’s now a firm favourite in our house! 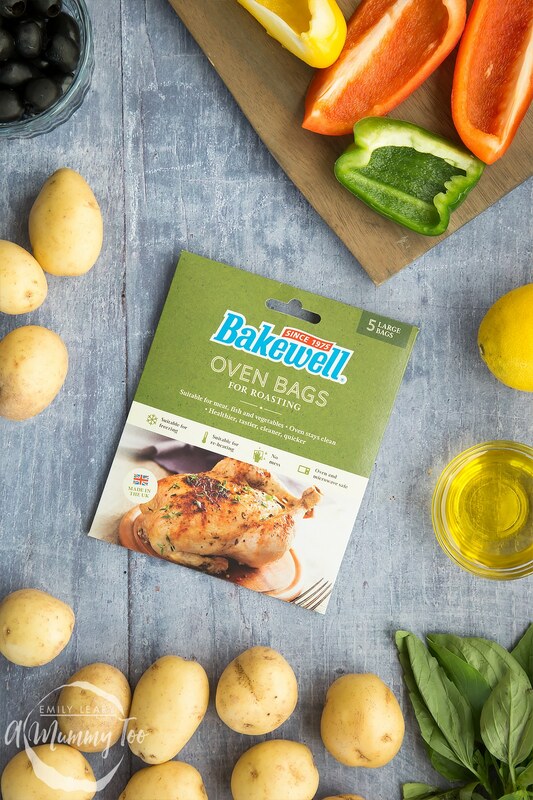 I love using these Bakewell bags and both the chicken and the vegetables taste fab! 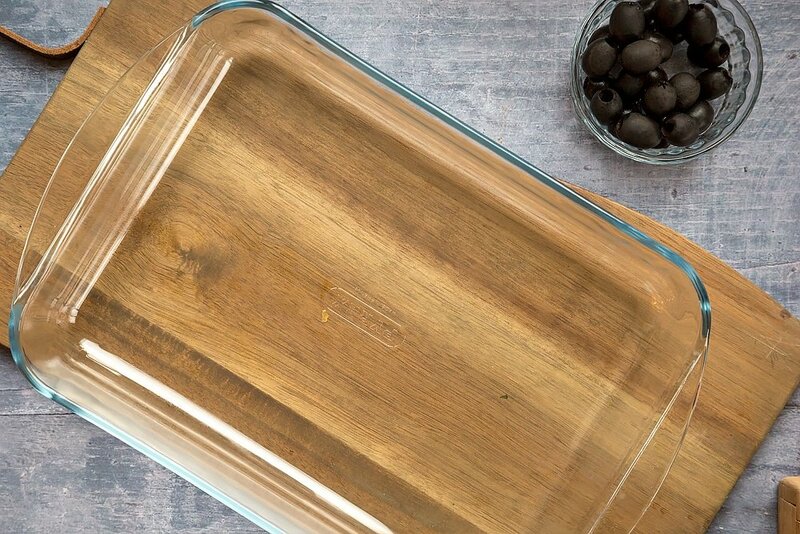 Yes, the food cooks beautifully and as you say – no greasy oven to clean! 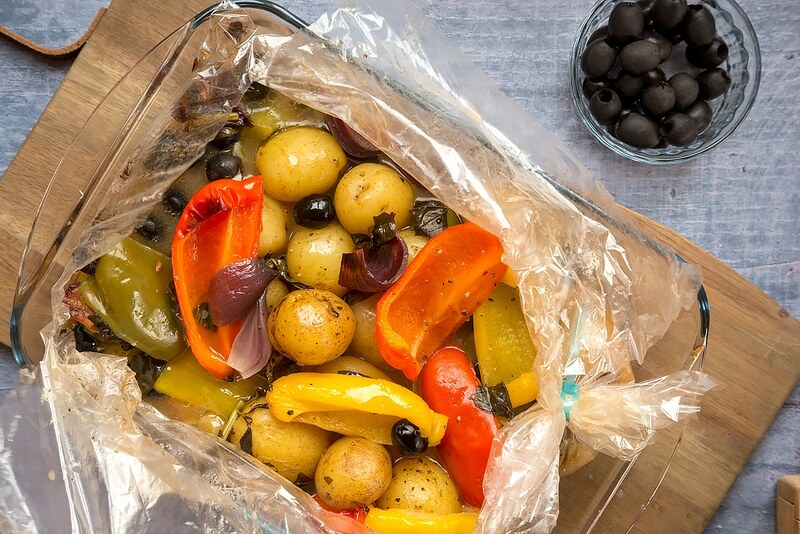 The oven bags looks fantastic and a great idea, i definitely need to try these out, the juices and tastes all retained in the bag! These Bakewell bags are great! The chicken remains so moist and the vegetables roast to perfection! Thanks :) I love using these Bakewell bags. Yes, these bags are a godsend! The meat and the vegetables all cook perfectly – less washing up and a clean oven! I think they look fab, and perfect for keeping the meat moist too. These Bakewell bags are great! The chicken was beautifully moist and tasty and the vegetables cooked perfectly! I love how clean it is! No messy tray and it would of stopped splattering inside the oven too! I always manage to try out chicken so I think this would help keep it juicy. Yes, the fact that there is less washing up (and a clean oven) is definitely the way to go! The chicken and the vegetables cook beautifully! Such an efficient and easy way to cook! Absolutely! I love this product! It’s a great way to lock in flavours! Yes! The family love this meal and we are left with empty plates, much less washing up and a clean oven! I really like oven bags as it locks in the flavour and creates really nice dishes. Thank you! 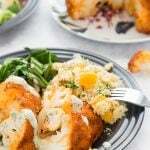 This meal went down a treat and has become a family favourite! This looks a lot easier, and of course cuts down on the amount of washing up! 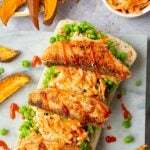 I hope you enjoy this recipe if you give it a go! And I agree, less washing up is an added bonus! The oven bags look great for an easy clean up. Yes, I love using these Bakewell bags! The food cooks beautifully, there is less washing up and the oven stays clean! These are a great idea. Sealing in the flavour whilst saving on the washing up! Yes – I totally agree! I love the look of these bags. Anything to make things easier is great in my book, but easier sometimes means not as good or healthy – but this looks yum and healthy! Win, win! Thank you! Let me know if you give these Bakewell bags a try! I love the way the meat stays so tasty and moist and how good the vegetables taste! What a brilliant way to make a meal, can’t wait to try it. I’d love to hear how it goes! These Bakewell bags are great! 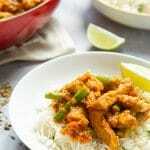 I think it sounds really good and keeps all the flavour in and the chicken moist. Absolutely! The family love this meal so I always have a supply of Bakewell bags! Thanks! The chicken stays so moist and tasty and the delicious vegetables cook perfectly too. Enjoy! Yes – I love using Bakewell bags and the added bonus is less washing up and a clean oven! The bags are great. All the juices are trapped to make the gravy and they make the washing up much easier too. Yes – I absolutely agree! A delicious meal, a clean oven and less washing up! they look such a great idea and less washing up! Yes! The meat remains so moist and tasty, the delicious vegetables cook perfectly, the gravy is yummy and, as you say…less washing up! I think it’s a great way to cook. Everything is in together so the meat takes on the flavours of the veg. Also everything is ready at the sames time. Love them. Absolutely – I love them too! The moist and tasty chicken, the delicious vegetables and gravy all make for a great meal! Have you been tempted to give this tasty meal a go? Everything tastes so good and there’s less washing up too! Love how the bags prevent all the messy clean up and also keep in all the juices for extra flavour! Yes – I love the fact that there is less washing and no greasy oven to clean. That’s the added bonus though – the food tastes absolutely delicious! I definitely need to try that recipe! Sounds amazing! I would never have thought of putting veggies under the chicken. And – oh joy! – no dish to scrub clean. Thank you! Let me know how it goes! This recipe is a firm favourite in our house! I like it that there is no waste – you use the juices to make the gravy. Yes, no waste, a clean oven and less washing up and the chicken and vegetables cook to perfection! I think that these bags are a brilliant idea. They look so easy to use, even I can use them! Yes, they’re great! I love them and my mum uses them all the time! 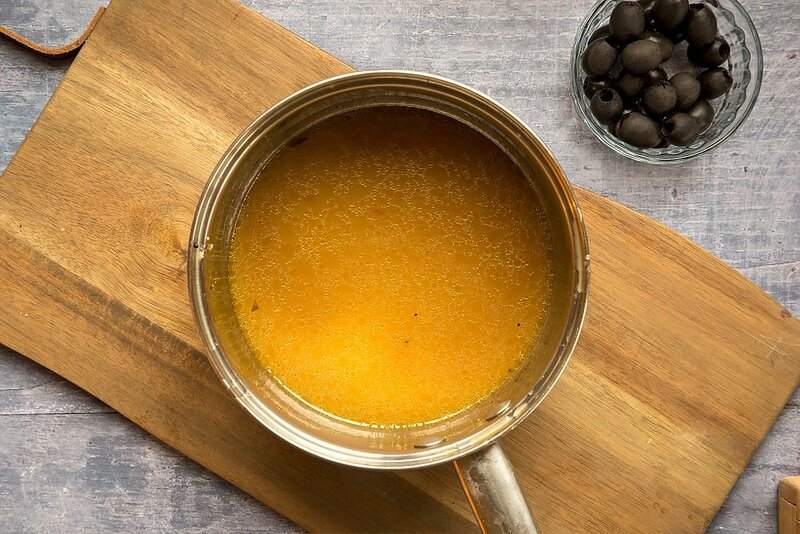 Let me know if you give this tasty recipe a go! 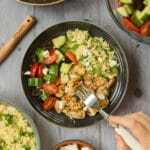 the food in this recipe looks fantastic and delicious. I would never have thought to use bags like that while cooking a roast chicken. Looks like a good way to make sure that the roast isn’t dry! Absolutely! The chicken stays so moist and tasty and the vegetables and gravy are delicious! Sorry for the delayed reply! Have you tried it yet? I’d love to hear how it went! What a great idea. I can’t say I ever considered using these before I read this, but you’ve sold them to me now, they sound great. Great! I always have some of these`Bakewell bags in my cupboard! Let me know if you give this recipe a try! I hadn’t seen these before – look really good and that chicken has made me hungry ! I love using these Bakewell bags. Enjoy! Anything that means Idon’t have to set upon the cooking dish afterwardwith a scourer is good by me! Yes – it almost looks as if the roasting dish doesn’t need washing at all and the resulting meal is SO tasty! Me too! I’m all for a delicious meal with less washing up and a clean oven! I’m going to try this. I didn’t know you could put the veg in with the chicken. Have you tried it yet? Everything roasts together so beautifully and the gravy is delicious too! Anything that requires less washing up is pure gold. I’d love to use for roast veggies. Absolutely and everything cooks so well and tastes delicious! I agree! So glad you’re enjoying using them. Wow the pictures of the food when its done looks amazing! i bet thechicken was really tender. It was indeed. Thank you! Looks so much easier doing it all in one bag, healthier too! The oven bags were used very well, it looks like a good way to cook and keep all the goodness in the food. Thank you. Yes, they’re really handy. I thought it was amazing how you use the bags, such a genius idea and so time-saving. Yes, the chicken cooked beautifully and so did the tasty veg! We eat alot of roast chicken & that looks great to me, one pot cooking makes life so much easier and easy clean up too, can’t believe how clean that dish was,absolutely no leaks, perfect! Yes, these bags are a godsend and everything roasted to perfection! Thank you! Yes, the chicken stays really moist and the vegetables roast beautifully! All the juices stay in place and add moist to chicken. Very good idea. Thanks! I love using these Bakewell Oven Bags! Looks great! Definitely a win if there’s less washing up to do! Never tried cooking in a bag but the chicken looks good, not dry, so I would give it a go. It’s amazing how beautifully the chicken and the veg cook and hardly any washing up! Let me know if you give it a go! Absolutely and the results are delicious! Love the idea can put veg and chicken in together. Yes and it saves on all that washing up, apart from the fact that the chicken stays beautifully moist and the veg roast to perfection! Great idea to use one bag, although I do like a crispy skin on my chicken so not sure these would work for me. Having said that I am always willing to give something a try. These Bakewell bags are fab for roasting meals like this and the results are delicious! So quick and simple – the chicken looks well cooked and delicious. Would like to try this recipe soon! Thanks! Let me know how it goes – this is such a tasty meal with the added bonus of much less washing up! It really is! Are you tempted to give it a try? Great idea – Sometimes buy cook in bag chickens from supermarket to save on washing up – This is a great alternative. Yes and it’s such a good way to roast the veg too! Enjoy! I love using Bakewell bags. Everything was roasted to absolute perfection! Oh great – yes do! It’s super quick and simple! I think that chicken looked perfectly cooked. I would love to have a go at this recipe myself. The bags seem to be very useful for keeping the moisture in when roasting meat and veg. I did like the tip about cutting a corner off so the skin of the chicken got crisper. Yes it works really well too! Thank you! Yes, simple and yummy is the best. This looks amazing, you cannot beat a roast dinner. Even better when it’s a healthy version! Sounds lovely. Yes the bags will be great to use at Christmas too! I used oven bags before and they were very good. These look great and the recipe looks yummy! We’ve used the ones that you buy with a seasoning mix as one packet but I didn’t know you could buy them on there own. Yes they’re great! Do try them – they come in different sizes and work for all sorts of meals! Yay! Send me a pic, please! Oh yes do give it a go – it works so well! Oh my. I am craving! I badly want some roast chicken now!!! Hehe. Oops. I hope you get a chance to make this soon! What a great idea! Keeping all the flavour and the juices – and not having to scrub the pan so hard after! I love this recipe Emily! I’ve been meaning to try these bags for ages- they seem so easy to use! So I’ve entered your giveaway-fingers crossed. This looks great, the recipe is so straightforward! I will be trying it soon!! Looks like a great idea! I don’t eat chicken but could imagine something similar with fish would work or even just veg! Yes, the bags definitely work with fish. They come in different sizes too! I love how the chicken still browns- that would be my only worry. So I’m glad to see it isn’t an issue! Yes, the chicken was beautifully brown and together with the delicious vegetables and the gravy made from the juices it made a perfect meal! I think the way the bag was used to cook the chicken is fantastic. I imagine everything is so much more tender as the juices don’t go anywhere! Yes, the meat was moist and tender and the vegetables and gravy tasted so good! It looks lovely! I have cooked a chicken in a bag before with lots of garlic and lemon, it was delicious! Thanks! These Bakewell bags are fab! The vegetables and chicken were cooked to perfection and the gravy was so tasty! I think the oven bags are a very good idea. Yes, these Bakewell oven bags are great! I’ll definitely be using them again! Yes! This meal was so speedy and easy to make and together with the delicious gravy it was a meal that the family really enjoyed! Yes, the Bakewell oven bag kept all the delicious vegetable and chicken juices together and made perfect gravy as well as beautifully moist chicken! And less washing up – what’s not to love! Thank you! I hope you give these Bakewell bags a try. The chicken and veg cooked beautifully and the gravy was really tasty too! Oh I love all those Mediterranean flavours, such a healthy, tasty way to eay. The roasted chicken and vegetables cook to perfection in the Bakewell bag and the gravy is delicious too! Yes, so quick and easy to prepare! The vegetables and the chicken cooked beautifully and the gravy was SO tasty! Yes, the vegetables cooked perfectly and tasted delicious, as did the chicken! Absolutely! The chicken and the vegetables cooked to perfection and it was a godsend to save on the washing up! These bags sound really useful and I like that it means less washing too. So much easier to clean the roasting pan when all the juices have been caught in the bag. Absolutely! I’m all in favour of less washing up and even more importantly, the vegetables and chicken cooked perfectly and the gravy was fab! I think the bags are a great way to keep the moisture within the chicken. Along with the roasted vegetables a whole meal in a bag. Fantastic. Yes! This meal was a joy to make – so quick, easy and delicious! And all with added bonus of less washing up! I love the idea of keeping all the juices in the bag, would love to try these. These Bakewell oven bags are great – definitely worth a try. I’m sure that you’ll be impressed! I think the way the oven bags were used in this recipe sounds delicious. Thank you! 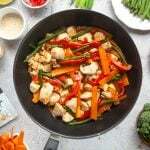 The vegetables and the chicken cooked beautifully and my family loved this recipe! Yes! The vegetables cooked beautifully, as did the chicken! I’m looking forward to making more meals using the Bakewell oven bags! 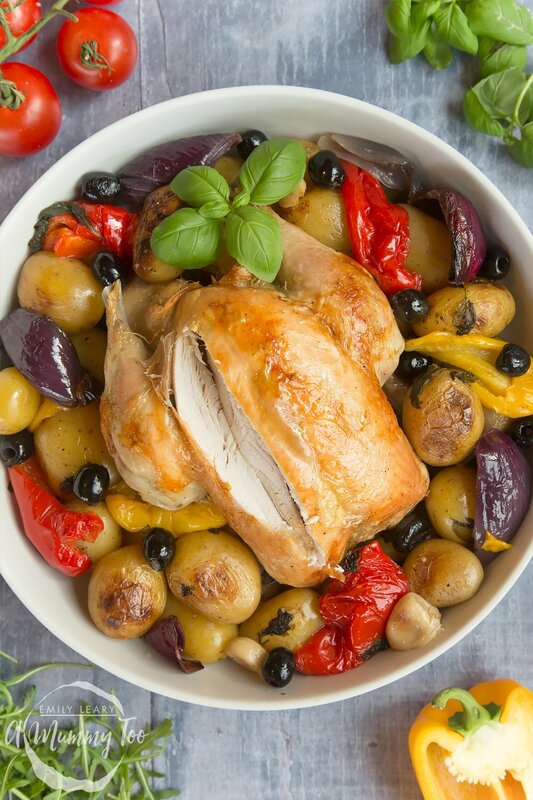 I love roast chicken, it’s so tasty and super healthy. I need to make this kind of meal more often. This recipe is super straightforward, perfect for busy women! Oh wow that looks delicious! I love anything cooked in the bag, it is so much juicer as it catches all of that moisture. I am going to try this for our Sunday dinner! Fab! I really do rate it – as you say, it’s definitely much juicier! This looks so appealing and it would be ideal for summer too. I love the idea of cooking with the bag to seal in the juices – mmm! Yes it is a bit of a revelation – so juicy! Very good use of the bag. Thanks! We’re really pleased with the results. I was wondering the same. You know how those cylindrical Quorn roasts can be a bit dry? I wonder if this would help them become juicier cooking with the veggies in the bag? It really does help lock in the flavour. To keep all the flavour and juices in the bag to cook the veg and keep the chicken moist. Yep it’s great, isn’t it? Ohh now this sounds really interesting, I have to admit I’m awful cook but I am trying to do more and play with things. 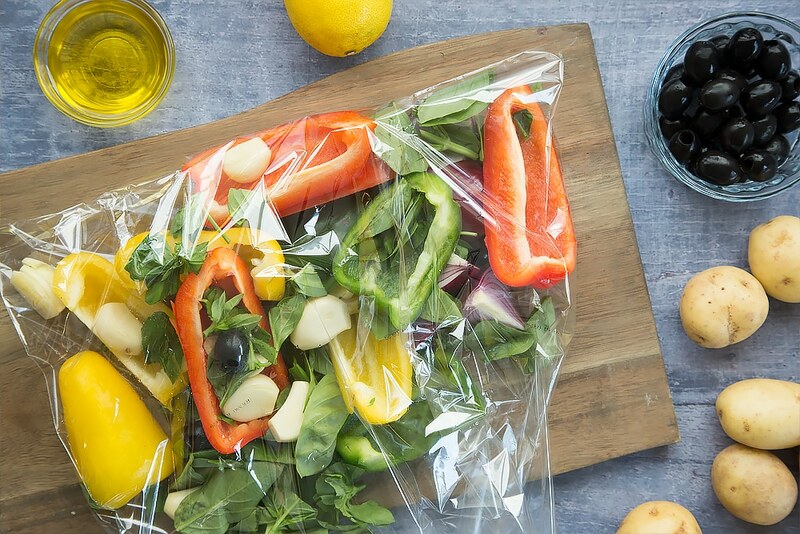 I like the idea of making it healthier as it cooks in the bag! Interesting. Oh wow, this looks amazing and so easy.My kids are such fussy eaters and chicken is one of the few things that everyone likes. I am going to try this out at the weekend. Oh and mess free is always a bonus. I love how you have done step by step pictures so that even I can’t go wrong!! This looks INCREDIBLE! And I absolutely love using baking bags purely because they do lock in all of those flavours and also leave the tray spotless, too! Yes exactly! And they’re recyclable too! Ooooo this looks absolutely delicious! 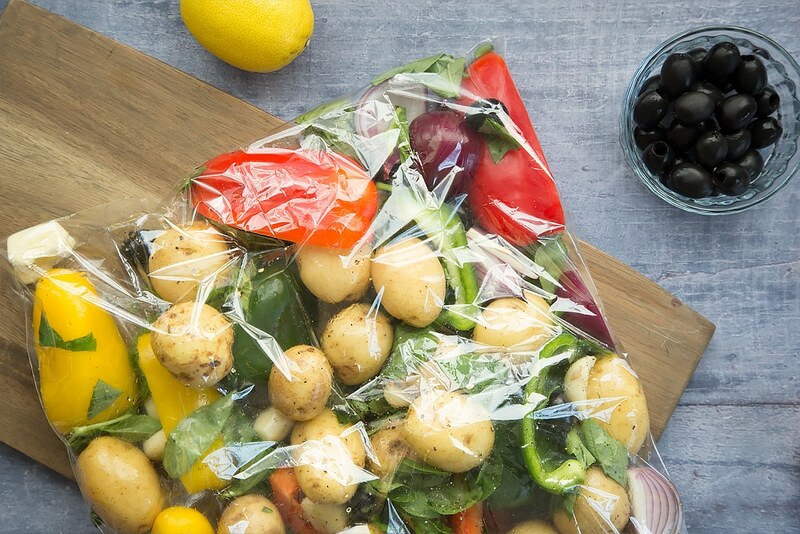 I’m always looking for ways to make meals healthier; these bags look fab! Yes! And less washing up is always a win!